I saw The Adventures of Tin Tin, the short of it; Tin Tin’s a reporter in Europe and he stumbles upon a quest for the Unicorn, a ship. In the process he meets Captain Haddock whose ship has been hijacked/shanghai’ed by the villainous Ivan Ivanovitch Sakharine. 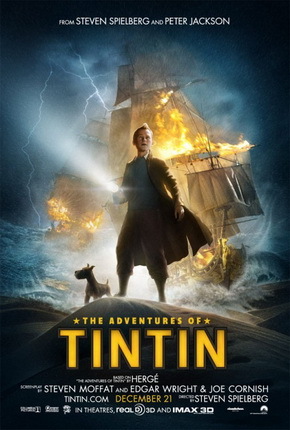 Tin Tin must play catch up to Sakharine in a globe trotting quest for a family secret of Haddock’s. The good; the animation is amazing. There are a lot of shots where it looks so photo-realistic, then you have the characters walk in, which I love by the way. They look like the comic book that they’re based on, which is a great way to adapt it to the feature film realm. The characters’ renderings look almost real, but then there’s the touch of the cartoony nature of their facial features. The tone is very balanced between the life or death situations to the comedy relief supplied by the bumbling detectives Thomson and Thompson. And only in the animated world can you bring about such over the top, almost slapstick, action sequences. The film really reminded me of an Indiana Jones movie, it also being a period piece adds to that. Tin Tin was surrounded by thugs wielding German weapons, another giveaway that they’re baddies, also like Indiana Jones, yet he hardly had a weapon to him, he used his wits. The bad; the story. In all honesty, as much as I enjoyed the film, it was a little off. The action was so over the top that there wasn’t escalating action, if everything is life threatening an outlandingish, then there’s nothing to really outdo one another. 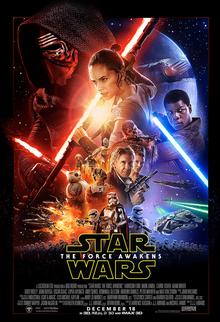 I would rather the film had started with smaller, tamer, action and built up to larger more fanciful sequences. Another problem I have is the climax of the movie, *SPOILER* it’s between Haddock and Sakharine. Tin Tin almost had nothing to do in this scene, which I get… but he is the main character, he should help Haddock somehow. The fight could’ve still been left to the men, but Tin Tin should’ve had more of a role in the climax *END SPOILER*. Another reason that the climax felt so anti-climactic was of all the action, as mentioned above, if they would’ve saved the most over the top sequence and lessened the others, the ending wouldn’t have been so tame. Moffat contributing early as one of the writers actually does scream out at me, maybe because I know him from Doctor Who, but in this case he had to leave the project early because he became head writer for Doctor Who. His essence of fast talky scenes remained though. Makes me wonder why I don’t sense Edgar Wright’s (Shaun of the Dead) style bleeding through the film? He and Joe Cornish (Attack The Block) took over the writing tasks whens Moffat left. Overall, very enjoyable. Visual eye candy if nothing else. I hope to see more in this animation style. It felt like a good old film that brought us on a journey, Spielberg being behind the helm doesn’t hurt this vibe at all, and this is his first animated feature. Well done sir! This entry was posted in Movies/TV, Reviews and tagged Andy Serkis, Edgar Wright, Hergé, Joe Cornish, movie review, Peter Jackson, Steven Moffat, Steven Spielberg, the adventures of tin tin, the adventures of tin tin film, the adventures of tin tin movie on December 28, 2011 by Eugene.